It´s been 17 years since Franzen Maschinen presented the first version of the automatic chain sharpener SA6 - The Franzen at GaFa Expo in Cologne, Germany. In the beginning the machine was far from being accepted by the industry, so the company had to struggle and work hard to convince the critics. 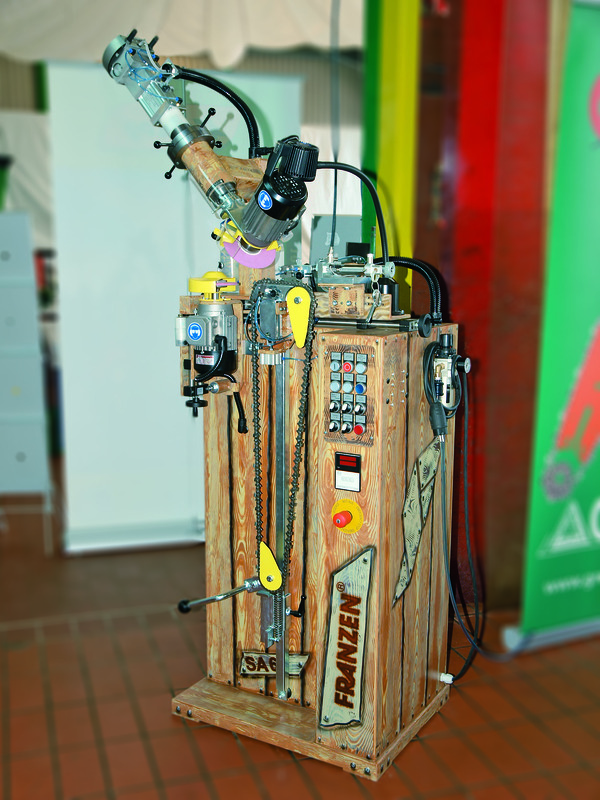 Tons of entrepreneurial spirit and a dedicated team enabled Franzen Maschinen to be able to present #1000 of their automatic chain sharpener - The Franzen at GaFa Expo 2008 in Cologne, Germany. Today not only global player and industry icon STIHL recommends Franzen Maschinen equipment , but also uses machines made by Franzen Maschinen for training purposes and in their R&D-Department. Franzen Maschinen produces about 120 SA6 every year, with rising numbers.